It’s that time of year where magic comes to life and parents are put to the test on whether or not they can remember to keep up with the magic. If your family has a magical visitor elf then you know exactly what I’m talking about. Today I want to make the entrance experience that much more fun for your kids and that much easier for you with a Free Elf Welcome Letter. If your family hasn’t experienced their own elf yet then it is a tradition that I highly recommend. The kids have so much fun with it. You can head over here and purchase your own elf and begin the tradition this holiday season. I will warn you though…. once you decide to go all in you are committed. My kids look forward to that little guy every single year! 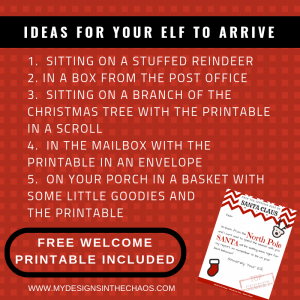 When your elf first arrives, the letter available for download at the bottom of the post, is a perfect way to remind your little ones about the tradition. You can write in your child’s name and then also sign it with your personalized elf’s name. If you really wanted to go all out you could apply your child’s name and elf’s name in adhesive vinyl to the printable! 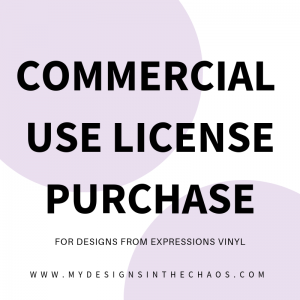 (check out all the different types of vinyl here) Then there would be no suspicion of handwriting. The kids also really love it when the envelope is decorated with Santa stamps or stickers. You could even throw a little bit of glitter or confetti in with the printable below. Probably the most difficult thing about this tradition is coming up with clever things that your elf can do each day. Most days I try to keep it simple and feel like it’s a win if he moves from the bookshelf to the stairway because let’s face it… #momlife. Every once in a while though it’s fun to throw in a mischievous or entertaining thing that he gets into. Just sprinkle in a few days of having him move to various spots in the house and you should be good to go throughout the entire holiday season. 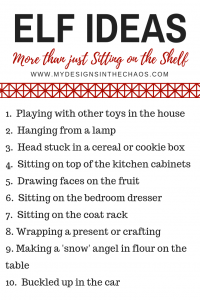 Make sure to pin these ideas and help another parent out because when it comes to coming up with elf adventures, ideas are always welcome! Thanks for being here and we would love for you to share below and let us know what your kids thought of the magical welcome printable!